Have you ever sat through a presentation that was either difficult to follow, visually jarring, or worse yet, put you to sleep? Do you want to make sure that your own presentations are engaging, visually appealing, and easy to follow? 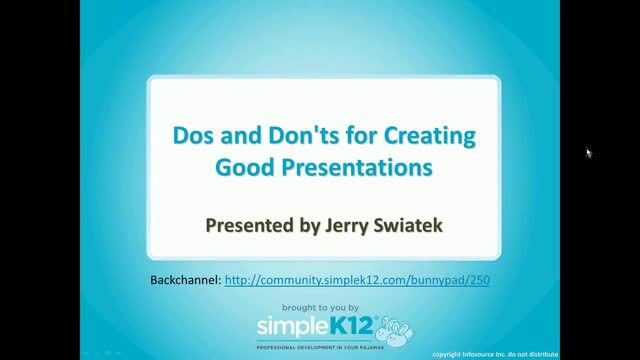 In this webinar, Jerry Swiatek will cover some of the dos and don'ts of creating a good electronic presentation. He will discuss elements such as proper layout, amount of text, backgrounds, and fonts. Jerry will share tips on incorporating graphics, including how many to include, appropriate sizes, and placement. He will also examine certain elements to avoid or use sparingly, such as too many fancy fly-ins. Leave with ideas you can apply to your own presentations or share with your students. 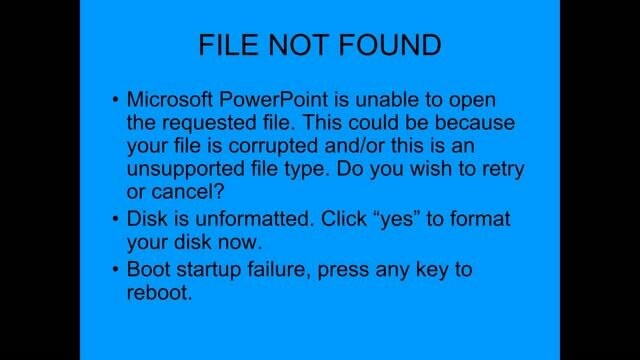 Very good and valuable information! Thanks! Thanks for sharing. I will be able to use these slide standards as I prep for the new school year. Useful standards for slides. I found myself saying "Amen" to several points as they were presented. This will be good information to share with students as they begin preparing presentations. 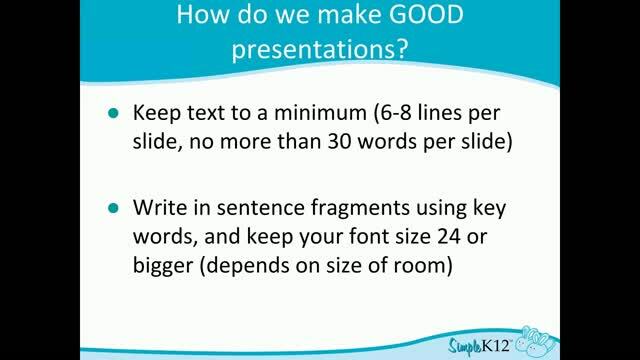 Thank you for keeping your presentation simple with some repetitions. 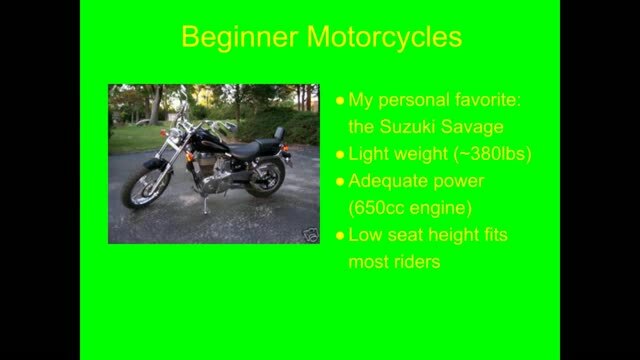 I like the simple style of presentations. 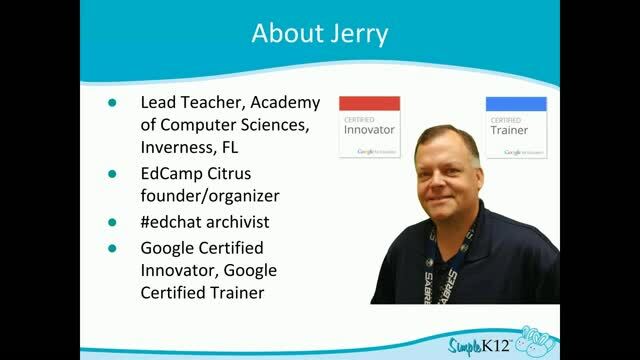 Jerry is an awesome presenter! Love his webinars.